We are offering GSAs the opportunity to receive hours credit for volunteering at this event because of our partnership with the Hampton Chamber of Commerce, and you will sign up directly with their volunteer managers, who will report your hours back to us after the event. To sign up, contact Dyana Martin and Tom Dwyer at volunteer@hamptonchamber.com. They will assign you a volunteer spot based on your interests, and can answer any questions you have about the event. 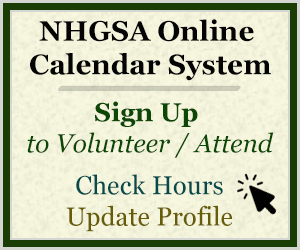 When you e-mail them, let them know you are a GSA so your hours will be tracked. Ocean Boulevard (Center Beach) of Hampton Beach is closed to traffic and becomes a pedestrian mall. Free parking and shuttle service is available at over 13 in-town satellite parking lots. The shuttle service has proved to be the fastest, safest, and most cost-effective way to get to the Festival. With no cost, and less aggravation; it has become the most popular way to attend and enjoy the Festival. We highly recommend volunteers to take advantage of this service. 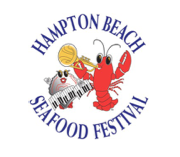 For a complete list of available parking lots check out their website at www.hamptonbeachseafoodfestival.com. Another opportunity is to Park at the NH State Park (near Seabrook Bridge, Rte. 1A). Parking there is $15 per car with Free Shuttle Service to and from the event. Coke Tent Venue – Responsibilities include serving Coca Cola beverages to the festival attendees and ensuring venue is properly maintained. Shuttle Bus Greeter – Responsibilities include greeting festival attendees and answering any questions that they may have. Beer Tent Venue – Responsibilities include serving alcohol and non-alcohol beverages to the festival attendees and ensuring venue is properly maintained. All volunteers receive free entrance to festival the day of their shift. All Volunteers will also receive a Seacoast Food Festival volunteer shirt to be worn when they are working their shift. Also, as a thank you for your help, each volunteer will be offered a choice of a $10 participating vendor voucher or a weekend admission wristband. The weekend wristband allows you free admission for the entire weekend. The vouchers must be used at the defined vendors in the area and during the three days of the festival. The vouchers or wristbands can be picked up any time during the festival. Volunteer T-shirt and comfortable clothing and shoes. You must also wear your GSA name tag to receive GSA hours credit. Many parts of this event are outdoors, and it takes place rain or shine, so be prepared for the weather! Send an email to Dyana Martin and Tom Dwyer at volunteer@hamptonchamber.com. If you would prefer a $10 participating vendor voucher or a wristband as your volunteer recognition gift.